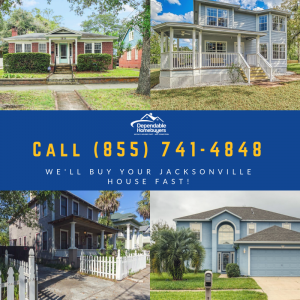 If you live in the Jacksonville, FL area and want to sell your home, but do not want to deal with the hassle and headache of going through the whole process, we are here to help you! 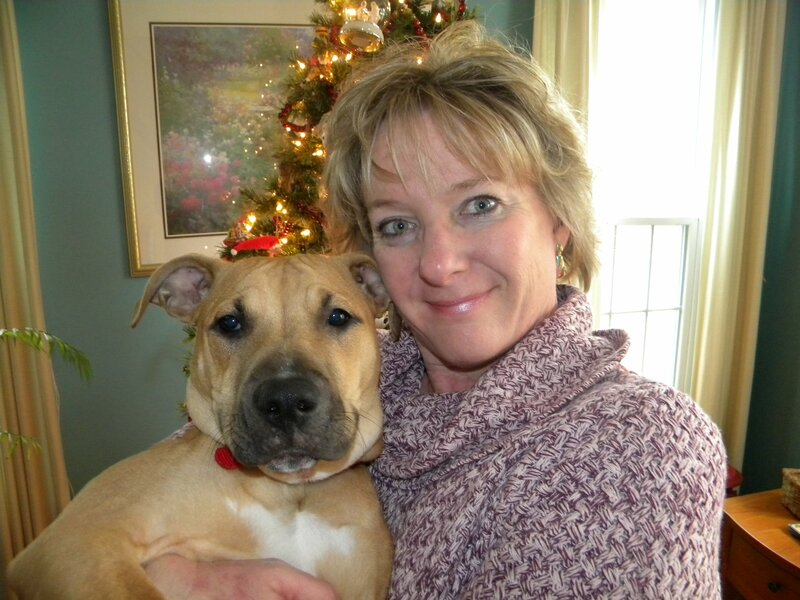 Dependable Homebuyers has been in business for years helping friends, neighbors and members of the Jacksonville, FL area sell their homes quickly without the frustration of going through the whole selling process. We ensure that our clients are never taken advantage of and get the best deal for their house. We understand how frustrating it can be to have your property sit for a long period of time while other area homes are selling. We make it our practice to give homeowners the financial boost that they need by moving their home sale along quickly. What we do is buy houses in the Jacksonville, FL area, giving homeowners CASH within SEVEN days or less. From the point of contact, we begin our research and make you an offer. The offer for your property is without any type of obligation. At that point, if you choose to accept our offer, we get the ball rolling and close the property deal in seven days. We eliminate the red tape, the need to jump through hoops, and facing false hope. In lieu of all of that frustration, we get you the cash you are looking for quickly. 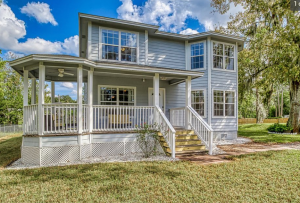 Now you’re probably interested in learning more about how we buy houses in Jacksonville, FL. So, let’s get right down to it! We understand the pain and frustration of feeling like you are drowning under a property that simply is not moving. For one reason or another, you do not have potential buying traffic or offers on your property. 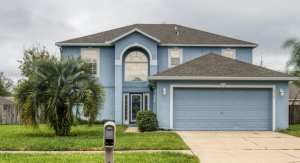 We buy houses from people in Jacksonville, FL that have had what they thought was their dream home turn into an absolute nightmare for various reasons. It could be that you found yourself in a situation where you bought a fixer upper and for one reason or another you were not able to follow through with fixing it up. The amount of money necessary to make those repairs can be quite intimidating and hard to obtain in many instances. There is also a chance of investing the money to fix it up and then the market slows down leaving you stuck with a property you are not able to get rid of. It is possible that you are in a situation where you are looking to relocate, downsize, expand, or just ready for a change of environment. Regardless of why you are looking to sell your home, we are here and ready to give you a reasonable offer on your property giving you an increase in your bank account balance ASAP! There are absolutely NO fees, NO Commissions and NO Strings Attached! As we stated before, we are not realtors at all. We do not want the hassle of drawing things out any more than you do. We do not want the time-consuming process of listing your home, having to go through the showings to prospective buyers, and we certainly do not want you to have to pay those ridiculous fees, inflated commissions, or have the frustration associated with realtors. Even the most professional of realtors cannot help how stressful the buying and selling process tends to be. 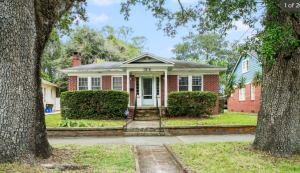 Plain and simple, we want to buy houses in Jacksonville, FL. We realize the importance of moving the process along quickly. We also understand the importance of offering a fair, 100% cash offer. We know that there are a lot of homeowners in Jacksonville that are motivated to sell their property. It does not matter to us if it isn’t the prettiest package, or even if it needs repairs. The issues that would likely scare many professional realtors away, are the factors that draw us to your property. We do not care about the location and are not concerned about the curb appeal factor. We are simply looking to put together a deal that will work for us and YOU, allowing both of us to walk away happy, getting you cash ASAP! If this sounds like something you are interested in, we certainly want to talk to you! We buy homes in EVERY condition you could possibly imagine. We can not stress enough how much it does not matter to us what the condition of your home is. Here at Dependable Homebuyers, we have become known as the company that isn’t scared to buy “ugly houses”. We buy houses in the Jacksonville area regardless of what condition they are in or what they might look like. Many professional realtors will not take on a listing if it does not appear to be picture perfect, especially in an area such as Jacksonville where expectations tend to run a bit high. We will not judge you or make you jump through hoops if your property is not magazine ready. At Dependable Homebuyers, we have not yet come across a property in Jacksonville that we did not want to make a cash offer on. We Buy ALL Types of Homes! Do you have a leaky roof? Does your driveway need some work? Are your windows outdated? Does your house need painted? Is your property ready to fall down around you? None of those issues matter to us at all! Our goal is just to make sure that the entire process of selling your home is a smooth process and we would love the opportunity to make you a fair offer that will help you get out of a property that needs a mountain of money to bring it back to life. We want to buy your home NOW! You do not have to worry about inspections or appraisals. When you sell your home the traditional way, that process is going to involve a lot of paperwork and red tape. This slows down the movement of your property and makes it even longer before you get cash in your hands. In a traditional selling, you will be required to have many people walk through your property and point out everything that is wrong with it. Then it will be necessary to bring in people to do all of the various repairs to bring the value of your home up to where you want it to be. Here at Dependable Homebuyers, we completely eliminate all of the unnecessary wasted time and speed up the process for you so that we can give you the offer you deserve within 24 hours and put you one step closer to having cash in your hand. We are positive that you will not find anyone in the Jacksonville area more motivated to buy homes than us! We will do all of the research ourselves and will not make you do any of our leg work. Give us a call at (855) 741-4848 today. We’d love to make an offer on your home! Are you looking to move your home quickly? At Dependable Homebuyers we pride ourselves in being able to move rapidly through the home selling process, with the promise of putting cash in your hand within seven days. Often times, it works out even faster than that! As professional homebuyers, we do not have to go through traditional banks for the financing process. We have access to quick capital, allowing us to put cash in your hand quickly. We will not force you to jump through hoops or face any roadblocks that will slow down you selling process. We have had past clients that wanted to move their properties as quickly as possible and we have been able to accommodate that without any problems. This does not mean that we will rush you to making a decision. We will give you as much time as you desire to make sure it the best decision for you. However, if you are under the gun and need to move quickly for any reason, we can move the process along quickly and get you the cash you need. Our services are nearly one of a kind, as there are not many people in the Jacksonville area that can offer a deal like this to you. Have you tried to sell your home in the past and had trouble? If so, you may be feeling a little cautious about going through that frustration again. We can assure you that there will not be any obstacles in the way. Many realtors act as middle men in the buying and selling process. That is not what we do. We will not connect you with buyers for your property, and we do not want to waste your time or ours by dragging you along or carrying on the deal any longer than necessary. We understand that the traditional home selling process can be quite a hassle, much more than it should be. 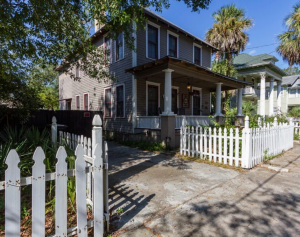 We have developed a system for buying houses in Jacksonville to eliminate the hassle and make the process as easy as possible. We purchase homes in the Jacksonville area in absolutely any condition. We work with out clients to make sure the process is smooth. We want to make sure that you do not have to worry about the deal falling through or have the potential of your buyer backing out. We are purchasing these homes with our own money which allows us to make an offer in less than 24 hours and that is not an offer that we will ever back out on. and are pulled in many different directions. You will not ever have their undivided attention or focus exclusively on your property. You may not always be a top priority to them because they are simply too busy trying to juggle many clients. At Dependable Homebuyers, this will never be a problem. We make sure you are a top priority from start to finish. When you reach out to us, you have our commitment that our full attention is going to be on you and your property and the selling process. We will put in any amount of hours necessary to get our fair offer to you, get the process started and get the cash in your hands. We will always work with you through every step of the process. We are motivated purchasers. 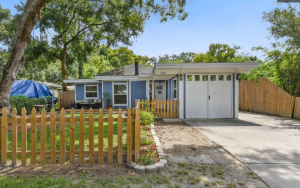 We frequently buy houses in the Jacksonville area and would absolutely love to give you a cash offer on your property just as soon as you give us the go ahead. There is no obligation to accept our offer but, we are very confident that you will be very ready to accept and get your property moving and wipe that stress and obligation away. It does not cost you anything to reach out to us and get an offer within 24 hours. Every offer that we make is 100% free and comes without any obligation at all. As we have mentioned we specialize in buying properties in the Jacksonville area. We are ready to speak with you today and get the process started. All it takes is one phone call to get the ball rolling and for you to be well on your way to have cash in your hands for your troublesome property that you are stuck with. We strongly encourage you to start the process with a simple phone call! It will truly be a phone call that can change your life!